I grew up in small, organic faith communities in western Canada. We were a misfit crew, complete with the requisite charismatic tambourines and occasional renewal movement missteps. Our church services looked more like a youth group than grown-up high church. We were all a bit suspicious of authority, “smells and bells,” and The Establishment, we liked being outsiders, we met in homes, we wrote ‘yes, Lord’ in the margins of our Bibles, and when we baptized, it was all-in, barely after May long weekend into cold lake water. And we had Testimony Time. Do you remember that? How we used to get up in church and tell our stories to each other? Sometimes it was awful. Someone would ramble on and on and on, enjoying the sound of their own voice, kids would fidget, someone would be inappropriately detailed leading to a few eyebrows raised to the ceiling, the few that fancied themselves as theologians would have near-heart-attacks over incorrect doctrine. There were times when a story was told, half-finished, still open-ended, no clear resolution. But we told our stories to each other. Here, listen, God met us once, twice, a third time, over and over. One time, in a bathroom, she swears God sobered her up after a binge, she promised she’d live her life for him forever, right then and there. One time, he had migraines every day for years and God healed him, bless God, not a migraine for six months now. Oh, and he was so afraid, so riddled with anxiety, he couldn’t step foot out of his house but now he’s free, he’s free, he’s free, he sings the word out loud and someone shouts out YES LORD FREE in the back. She’s prayed and prayed for her mama to stop drinking, she is finally going to AA but can we all pray, please? Pray for her mum to really stop with the booze this time, it’s been so hard. It is so hard. Living is so hard. Sometimes we heard stories about how God physically healed, other times there was an emotional healing. Sometimes a child came to Jesus, and other times, after a run of bad luck, bad debt, bad decisions, someone finally got a good job, a chance. Someone else fell in love. It was basic stuff, the stuff of living a life, birth, death, sickness, money, love, family. We’d whisper into the microphone or shout out loud from the back row, and the entire group of us, sitting on folding metal chairs, we’d clap, we’d shout, we’d murmur praises and hallelujahs, yes, brother, I hear you, my sister. I still feel most at home in the informal, easy camaraderie of the smaller, missional communities of my growing up years. And even though, like most of my generation, I pick and choose from seemingly – incongruous faith traditions to round out my own narrow experience, falling in and out of love with liturgy and the church calendar, with pews and priests, labyrinths and laity, I always come back to the school gym of folding chairs, to the easy egalitarianism, to the worn out and highlighted Bibles, to the passionately informal, hearts-on-fire misfit crew, to the every-one-here-is-a-minister-so-go-ahead-and-pray-with-each-other-for-heaven’s-sake. I feel at home here because we’ve always been a Church of storytellers. We’re a people of story. When we hang out, we tell stories back and forth, relationship building masquerading as performance art, and we make space for each other to talk up front, around back, in the rows and in the homes. There isn’t anything compelling about an instruction manual, about warranties, about scientific how-to-steps. No, it’s in the story-telling that our hearts are captured, touched, broken, mended, shattered, understood, encouraged, knit together. Somehow, when I find myself in someone else’s stories, I find God there, too. It’s hard to fight with someone about their own experience so sometimes, even if it jumps my fence, I have to slow my quick judgement, slow my I’m-right-and-you’re-wrong, to give space to the truth that God works and moves in mysterious and unique ways. Even if I disagree with the premise behind it, I can look a soul in the eyes and say, I heard you, I hear you, I honour God at work in you. I love when faith communities make space for the stories of the people of God. I hope we always make space for the testimony. Not the sanitized three-steps-to-success stories, no, the real ones. Not the properly vetted, people as mascots for evangelicalism. The unpolished, unedited people of God should be heard, we should be listening, we should be speaking, preaching the Gospel of our lives back and forth, not to one-up each other, but to encourage, to testify to the goodness of our God. Oh, I can testify to this: God is love and love is God and grace covers us all. I met God one time when you told me why God matters to you, how you love Jesus, and it felt like a holy moment. The only proper response is to slip off my sandals when someone is telling me a story of God, to hold a white hanky and wave it like a white flag, this is holy ground, this glimpse of humanity encountering a holy God in the details of life. It’s basic, yes, universal, elemental. I don’t care if it’s in a home group, a living room, a slick video at a megachurch, an old microphone with an amp under a bridge, a coffee shop conversation, I want you to testify to me of God in your life. 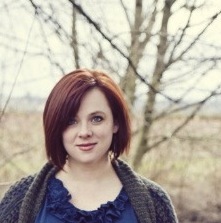 Sarah Bessey: Sarah is a writer and non-profit marketing director. On her blog Emerging Mummy, she grapples with spirituality, theology, mothering, politics, and almost everything else you’re not supposed to discuss in polite company. She lives in British Columbia, Canada with her husband, Brian, and their three tinies. Oh, dear dear dear friend. I don’t know where to begin. I’m in tears. I wrote only just last night about how much I love high church, how much I love liturgy, but I miss things like altar calls. I miss testimony time, too. Tell me your story. Please come tell me. Between the bowing and reverence and the altar, tell me how Jesus came to you today. I can’t thank you enough for this, Sarah. I can’t tell you how much it edifies my heart. You and me, Preston, need a pub and a few hours to talk, I think. Thank you, friend. Oh, Sarah, I love this! “The unpolished, unedited people of God should be heard”- yes, let us all lift our voices and proclaim. And then let us listen to one another and encourage. Amen and amen. Thanks, Leigh. I sort of just want to bawl when I read this. It IS how we meet God, these testimonies. May we never cease to be amazed at the work of his mighty power and outstretched arm. Amen and amen, Sarah. I think that’s part of why I’m so drawn to blogging – which has lead to me to more friendships and learnings than I could have imagined years ago. Thanks, Megan. I love that phrase so much: outstretched arm. For some reason, it’s always stayed iwth me, too. “The unpolished, unedited people of God should be heard, we should be listening, we should be speaking, preaching the Gospel of our lives back and forth, not to one-up each other, but to encourage, to testify to the goodness of our God.” Yes! I love story. I did not grow up in a tradition of storytelling in church. And I am not in one now, but I long for it. I think that’s why I love blogs so much. I want to hear what God is doing in people’s lives. How He is moving and active. How people follow even when they doubt. How miracles still happen and prayers are really answered. May stories never be lost. Thank you for your words today. Yes! that’s part of why I love blogging, too. Stephanie, you are right on. Love this! I found myself saying, “Yes, I get this! Yes!” I have been blessed to be part of a young adult community that makes time most weeks for someone’s “five minute story” in the midst of each worship gathering. I love that Christianity is about our stories changed by grace and truth. that’s wonderful, Amanda – such a gift to make space for the stories. Yes I agree I get so much from other’s sharing their stories of Jesus and God’s love. What a beautiful re-imagining. I hope there is always space for this in worship. And personally I need to say thank you, because I come from a church that is more liturgy based, which in it’s own has it’s own beauty but tonight I have been asked to share some of my story in front of my church, on how loving/working with mothers in the inner city has been weaved into my life. I heard some wise words that our story is the only thing on which we can speak with authority. I am feeling nervous and this post gives me courage. So glad you’re doing it anyway, Leah – it takes guts, I think. It comes from a place of vulnerability. I wish I could be there to hear it! Oh how I love this post…I grew up Salvation Army and in small town Newfoundland, Canada-Salvation Army is not just a religion, a denomination-it is your identity-your way of life. We waved flags, and marched around that high school gym, and danced so hard the Holiness Table fell down when that person-that one we had all prayed for, went to the altar and “got saved”….oh and every meeting, every get together, there was testimony time! And yes, there was always the one who said the same thing every time or spoke so long, or told perhaps a little too much-is there such a thing-but my goodness, that was holy ground….everyone speaking out loud, irregardless of age, class, gender-everyone sharing how God is working in their life-what God is doing, what God can do for you….my mom ended every testimony with “and if there are any sinners or backsliders here tonight, let me tell you there is grace at the mercy seat.” That one quote is imprinted on my mind-grace always at the mercy seat! So yes, Sarah, yes, let’s testify!!!!! Thank you thank you for writing this!!! Perhaps the lack of communication, especially through testimony and story, is one of the reasons why fellowship doesn’t satisfy so many churchgoers (nor speak to those seeking). This is a powerful piece and good perspective giver. Thanks, Sarah. Now, that’ll preach, Dr. W. That’ll preach, indeed. This made me smile, Sarah. “Sometimes it was awful. Someone would ramble on and on and on, enjoying the sound of their own voice, kids would fidget, someone would be inappropriately detailed leading to a few eyebrows raised to the ceiling, the few that fancied themselves as theologians would have near-heart-attacks over incorrect doctrine. There were times when a story was told, half-finished, still open-ended, no clear resolution.” Ha! Stories are coming to mind right now. But, with all the awkwardness that is in the story telling, it is still worth. I think you are right. There is beaut y in the telling & hearing of straight from the heart testimonies. I learn a lot from lectures and books, I admit, but they don’t capture my heart the way that stories do. you are right on. You took me back to my childhood… thanks! The characters were different but the stories were the same. I think that the love of the stories is what has gotten me hooked on the blogging community. Because you can never hear enough testifying, whether or not you are blessed to hear it on Sundays. It doesn’t matter if it’s open-ended and lacking firm resolution. That’s the stuff of life. I think testimony and transparency is one of the big things that is missing from a lot of churches today. Without those stories, how are the unsaved going to know how much God really loves us, how much He does for us and how much He sacrificed for us. Jesus was the ultimate storyteller. He only did a few “sermons”. We often challenge our missional community to share their stories, because in them, is Jesus. When the story is unadulterated, pure heart sharing, it’s inevitable we all feel His presence, learn His lesson, and get goose bumps. You just know when it resonates in your heart that He is living, breathing, powerful, current and real…so real to affect personal lives in an intimate way. It builds our faith. Takes us out of ourselves.